WARSAW, Poland (AP) — The Polish Catholic church is preparing to welcome the head of the Russian Orthodox Church to Poland in August, a visit church leaders describe as a historic step toward healing wounds between Russians and Poles. The two Slavic nations have been divided for centuries by religion, with Poles predominantly Roman Catholic and Russians largely Orthodox. Wars and occupations going back centuries have also left a legacy that still causes bitterness in political relations between the two countries. 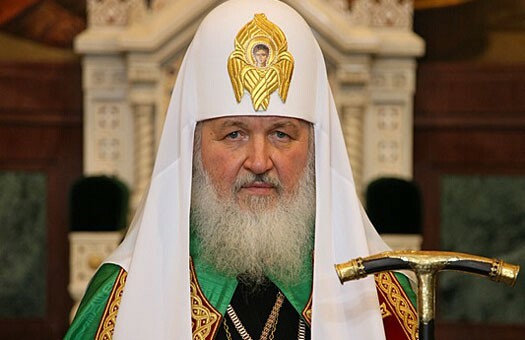 The key moment in Patriarch Kirill’s four-day visit, from Aug. 16-19, will be the signing of a document appealing to Poles and Russians to forgive each other for past wrongs and injustices. “We hope it will gradually lead to reconciliation between our nations,” said Rev. Jozef Kloch, a spokesman for the Roman Catholic church in Poland. Russian-Polish ties remain burdened by a number of painful episodes. Those include the Soviet invasion and occupation of Poland’s eastern half during World War II. Early in the war, the Soviet secret police murdered 22,000 Polish officers in the so-called Katyn massacres, while the Soviets also deported about 2 million Poles to Siberia. Poles also resent the Soviet control of their country during the Cold War. Officials said the document will be signed by Patriarch Kirill and Archbishop Jozef Michalik, the head of Poland’s conference of bishops, on Aug. 17 in Warsaw’s Royal Castle. Kloch said it is almost certainly the first such document signed by the two churches. Representatives from both churches have worked for three years preparing it. A Russian church spokesman, Rev. Vsevolod Chaplin, said in March that discussions between Catholic and Orthodox leaders in Poland will include recent and centuries-old problems between Catholic and Orthodox Christians. The Roman Catholic and Orthodox churches were united until the Great Schism of 1054, which was precipitated largely by disagreements over the primacy of the pope. The Vatican and Orthodox churches have worked in recent years to try to heal the 1,000-year split. They took a step forward in 2007 by agreeing that the pope has primacy over all bishops — but they could not agree on just what authority that primacy gives him. Rev. Henryk Paprocki, a spokesman for the Orthodox church in Poland, said he did not expect the Polish-Russian document to necessarily influence the larger disputes between the Orthodox church and the Vatican. Among issues causing tensions in recent years are Orthodox accusations that the Vatican has sought converts in traditionally Orthodox areas, particularly in eastern Europe. Rome has denied those charges. Property issues have also caused strains. Based on a 2010 Russian law regulating the restitution of church property, the Moscow Patriarchate has taken over hundreds of religious buildings that were never Russian Orthodox but belonged to other denominations before the 1917 Bolshevik revolution. Some of those buildings belonged to the Catholic church, and most Roman Catholic clerics in Russia and the former Soviet republics are ethnic Poles.